*The costume fitting will be held on Wednesday, 7th January 2009, 12.30 p.m.
*Bowie, Jessica and Raymond will film together for 1 episode of this drama. *This drama will be have the same genre as the ICAC Investigators 2007 filmed by Ron Ng, Michael Miu and Shirley Yeung. *Jessica Hsuan told her fans that the shooting should take approximately 10 days. *Sonija Kwok will portray as a pregnant woman. *Those names that are bold in grey colour are ICAC Investigators. Edited by jse, 23 August 2009 - 02:59 AM. ICAC isn't really a series. Each episode is each case. So no one is really "main chac". In The Gem Of Life, Bowie portrayed as an irresponsible and not-so-good character. Similarly, Bowie will be a bad guy in 'ICCA Investigators 2009'. He is a business man in this drama and his name is Fong Yat Ming. The show will start to film during Chinese New Year, 29th January 2009 for 7-8 days. After that, we will stop halfway to celebrate Chinese New Year and then we will continue filming until end. On the other hand, Vivien Yeo will be Bowie's lover in this drama. Vivien said,"I am happy that I have an opportunity to film with Bowie. And she does not mind having a kissing scene with Bowie." Note that Vivien Yeo will film for one episode named 《造市案》. Edited by jse, 09 January 2009 - 11:16 AM. Hopefully this 2009 ICAC chapter will have better cases then the 2007 one. I am looking forward to the drug/smuggling cases. 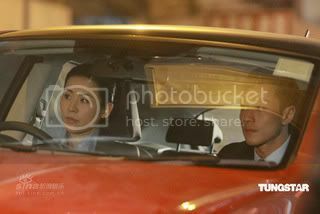 Long time no see of Jessica Hsuan was busy filming "ICAC Investigators 2009" in a street. She was portrayed as an investigator in this drama. Reporters saw her was relaxing enough to have chit-chatting with other actors and actresses. And they did not saw Jessica memorising the scripts. This indicate that filming was not a difficult thing to Jessica. Edited by jse, 21 January 2009 - 04:37 PM. me too! glad Raymond Wong is the investigator this time! love the cast so can't wait to watch! *Sonija Kwok, Yoyo Mung, Angela Tong and Derek Kwok will be filmed for this drama for another episode. Edited by jse, 16 February 2009 - 09:45 AM. So sorry for sounding so stupid but when is it gonna air??? CAN'T WAIT! Fiona Sit has confirmed that she is filming ICAC !! She is going to be playing an ICAC investigator! Crosses fingers, really hope that she and Pakho are going to have scenes together!! Can't wait to see Pakho's debut in a "series". He's so rocking the suit look! Pics of him & Crystal in the costume fitting! Fiona & Pakho filming pictures from Fiona's blog. Hmm I thought Fi was going to be an agent, I wonder why it looks like she's working for the airline company. Or perhaps it's to slip Pakho "secret information"
^OoohLala! Fiona Sit really makes me go !!!! cool! i always like this. i wished it was longer. sad to say no ron for this yr at least there is jessica and fiona for this year's ICAC! I hope Jessica and Bowie would be a couple. Sadly I don't think so, heard he was a badass in here. Edited by I ♥ tvb!, 10 March 2009 - 10:39 AM. Fiona confirmed that she will be involved/filming 3 stories for the series, so hence 3 episodes. Kind of surprised wouldn't have thought that Fiona would be in so many, since it feels more like a guest starring type of role. I love cop series; A definate watch. Wonder when it will air? Seems as if Maggie Siu is also in this, playing an ICAC agent as well Pakho, Maggie, Kenny Wong, and Raymond Wong were filming for this yesterday. Pakho was chasing Kenny (playing a criminal) who threw a bag into the river. Pakho jumped into the lake to retrieve it and he jumped in himself and completed it in one take! I'm kind of looking forward to this one since I like the ones with different teams involved in different cases than just one team and a dragging story. I actually enjoyed the other one so hopefully this one is good also. One thing is it won't be draggy - 'cause of the length, of course. When will this be out? Lol. News had released whereby ICAC Investigators 2009 will be aired around August-September this year. exactly, ICAC 2009 will be broadcast on 26th September 2009 at 8.30 p.m. on Jade Channel! I can't wait for this actually cuz I really like most of the cast! I'm very interested in seeing Jeanette Leung's performance as well. Storyline (Translated by: aZnangel @ AEU) --- Please credit back if reposted. Unit 1 : "Rigged Market"
Young tycoons, stock talents takes advantage of the market by manipulating and deceiving their shareholders, causing themselves to end up behind bars. MA YAT MING (Bowie Lam) uses his wife LAM BOOI KEI (Kristal Tin) to become the Chairman of the company. Together with stock analyst WONG HOI (Ellesmere Choi) and finance manager HO LAI MAN (Vivien Yeo), they spread rumors about how good the company is and jack up the stock prices. Lam discovered that the company was under investigation by the ICAC, so she quickly fled Hong Kong. 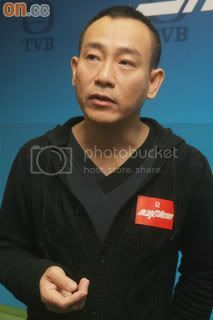 To avoid punishment due to the financial hardship, Wong jumped off a building commiting suicide. While Lam fled Hong Kong, she discovered that Ma and Ho had an affair and decided to return to Hong Kong to surrender. Ma was afraid that Lam's surrender may affect him, therefore he attempted to murder her. The ICAC mentioned at the Lam Corp's lobby that they hope to find Lam before Ma takes action. In the end, the ICAC arrested Lam Booi Kei, but even more exciting was that they finally found out Ma and Ho had a secret transaction of stolen goods. Whether for love or profit, greed could be destructive to individuals who were originally living through a happy life. AH CHUEN (Sonjia Kwok), ZOE (Yoyo Mung) and RAINY (Halina Tam) were the three golden sworn sisters since high school. When Ah Chuen's family suffered misfortunes, Rainy started bribing Zoe's boyfriend LEE CHI LUN (Raymond Cho) and found out the information about urban renewal in advance. Rainy took the advantage to come up with a compensation fraud to help Ah Chuen get through the hardships. This left the loving couple of 7 years Zoe and Lee with no money for their marriage. When Rainy offered a huge sum of money, Lee agreed to collaborate with her. All according to plan step by step, eyeing the compensation in sight as a winner. Unexpectedly, the ICAC had already received complaints about the frauds and eventually arrested them. Edited by *.marshmalloww, 08 September 2009 - 12:14 AM. ICAC Investigator 2009 will have its press conference at 17th September 2009, one week before its airing date!!!! ah... excited to see pakho in a series (well kind of series)!! Magic reaches a higher level. No evidence for the death, but still the ICAC investigators detected the fraud and bribery. CHAN CHUNG MAN (Johnny Tang) sells life insurance in Hong Kong all because of his sister in Mainland CHAN SIU KUI, however he benefits it all. Three months later he tried to get compensation from the insurance company saying that his sister in Mainland was struck by lightening, her body was burnt and buried. The insurance company felt that its unfortunate. However he was later suspected for broker fraud and bribery of the premium and was there under arrested by the ICAC. Preliminary investigations discovered that there is no false claims on CHAN's file. But, the ICAC staff FUNG MAN YUI (Maggie Siu) sensitive sense of touch raced against time, in a short period, she was able to gather evidence in both Hong Kong and Mainland. She notified the Mainland authorities and finally crack the case. Edited by foreverleila, 15 September 2009 - 05:48 PM. Heres a lil preview of this show!!! And here are the names of the ICAC investigators!! !